If you know how to use a slot machine or you have seen one in a casino, the video slot will not be too foreign a concept for you. 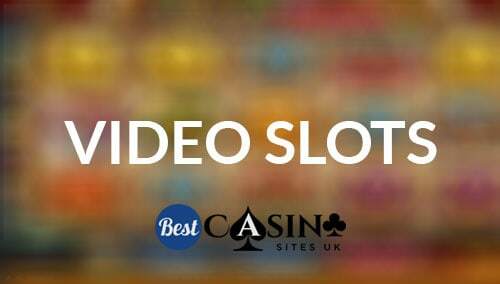 A video slot is the same as a regular slot machine with a few improvements or adjustments. The video slot is one of the most misunderstood games in the casino. There are so many myths and misconceptions that surround the machine that it becomes hard for users to use the device without some preformed opinion. Well, this article is meant to give you all the info on video slots and how they work. The one thing you need first to understand and accept is that video slots just like all other slot games are solely a game of chance. Don’t believe all the hype that they give you online about having cheat methods to alter the outcome of a spin. All slots are just a lucky game. The games are run by a computer program. The program is set in a way to ensure that the casino does not lose more than it makes. This means that your chance of winning is merely luck because an algorithm will decide whether it’s time to win or not. When you press the button or pull the lever the images on the screen will seem to spin. In reality, the machine has already decided on the winning numbers since it is automatic and fast. The numbers or images are selected randomly by the trusty random number generator. Once the numbers or images stop spinning, then the results will be shown to you. This will display either a win or a loss. The video slot machine can have anywhere between 20-100 images. The combinations are, and odds of winning say the jackpot is one in a million. This is why it is rare to find a jackpot winner at the casino slots. Smaller wins are more common. For a machine that has to say 50 stops per reel, the jackpot symbol is only set once per reel meaning you would have one chance in more than a million to win the jackpot. This chance to win can be increased by adding the number of lines you play which is possible with a video slot. The more lines you play, the higher your chances of winning the jackpot. Manufacturers carry out extensive mathematical tests in their machines to give the percentage payout of their products. Most of the time you will notice that there will be random outcomes in the way a game is played. This is because the results are randomly generated. You do not have a higher chance of winning in a slot that hasn’t paid out in a week than one that just paid out or vice versa. This is because each round on a slot machine is independent of the previous play. The possibility of you winning two jackpot games in a row is something real. Though the event may be highly unlikely it is mathematically possible.